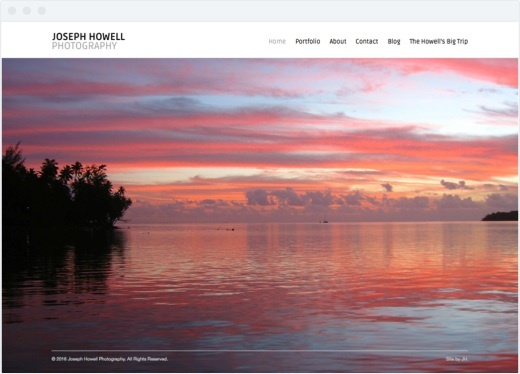 Website for photographer. 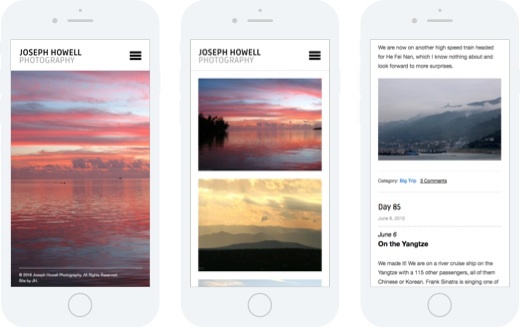 The clean and minimal design showcases the photographs. A full screen slide show that features some of the clients favorite photos. 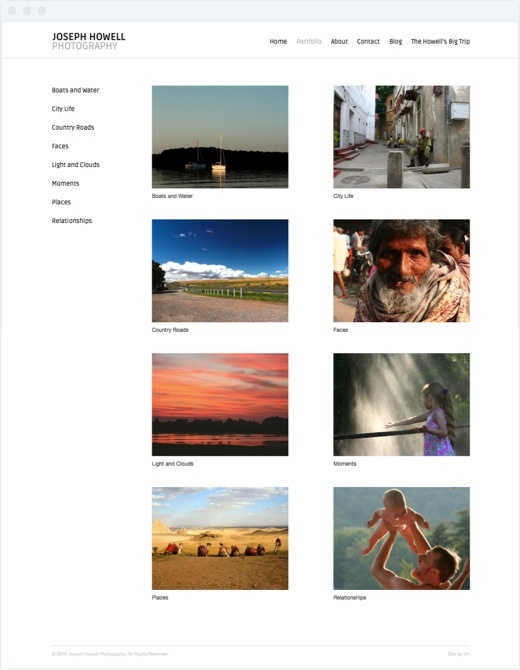 The portfolio is divided into several albums, with them listed in the left sidebar, and thumbnails in a grid. 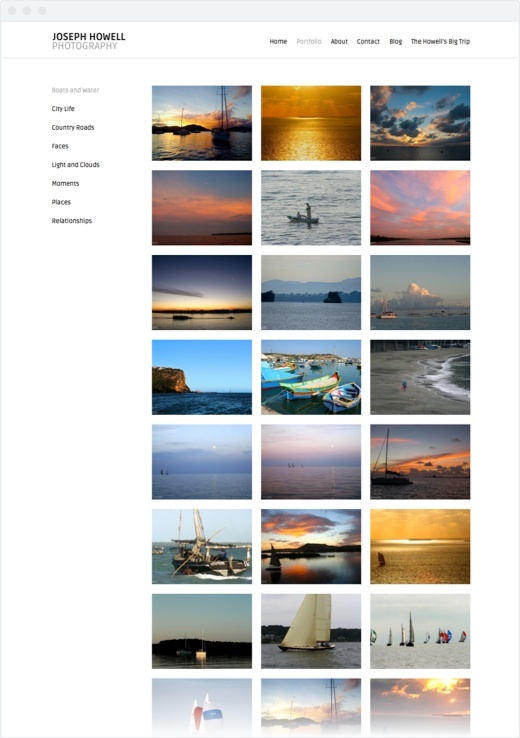 The page has thumbnails of all of the photos in the album in a grid. 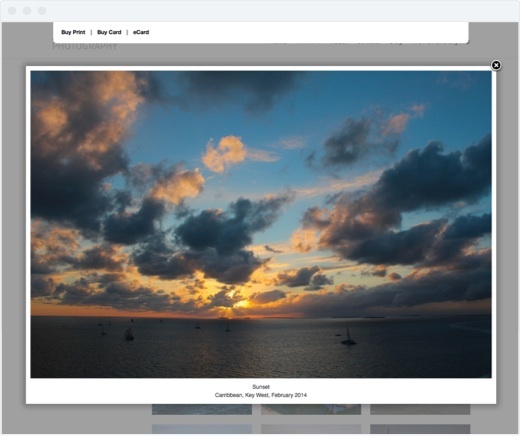 Clicking on a thumbnail opens a modal window with the full size photo. The modal window has the photo’s title, location and date. If the prints of the photo are available, purchase buttons are at the top of the screen. You can also cycle through the other photos in the album by clicking the right or left arrows. 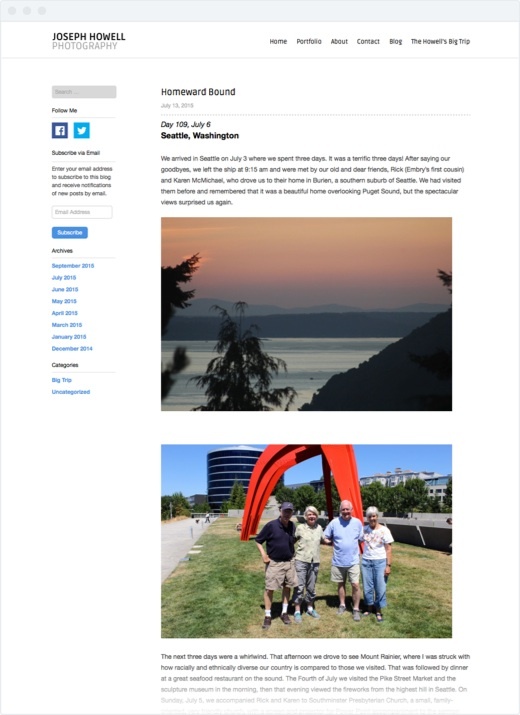 The blog has a traditional layout, and allows the client to post often about his travels. The site is responsive and works on all devices. The mobile version features a slide-out navigation.